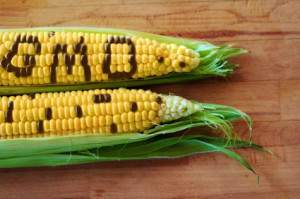 GMO stands for Genetically modified organisms. You may also see GE which stands for genetically engineered they are both the same thing. When you see GMO/GE it means it is created in a lab by scientists instead of mother nature creating it. When something is genetically created the DNA structure gets altered. The most common products that people feed their horses are corn, wheat, beet pulp, soy and alfalfa. When a plant is genetically modified (GM) it is resistant to continual spraying of pesticides that way it won’t kill the plant. When insects come into contact with the plant they die trying to eat it. Now if the insects are dying from eating the plant what do you think it’s going to do to your horse eventually? You may be asking yourself why are these GMO products so bad. Well because GMO’s have been linked to long term health risks. Animal studies on GMOs have indicated infertility, immune problems, gastrointestinal function, changes in liver, kidney, spleen and accelerated aging. The posting on the Holistic Horse website states: “No current studies show the effects of GM crops on horses, but research is coming out that questions specific gene changes within the horse that science cannot explain. Researchers have found “how” mares are becoming infertile, but they still can’t tell “why” this is happening. In independent studies of problems with GM foods, rats and mice were used, and the same problem arose.” I highly recommend reading this post on the Holistic Horse website for more information about GMO. GMO’s were introduced into the commercial market in 1995 and have become incorporated into livestock feeds and horse products. In 2011 the USDA gave the okay for conditional deregulation of Monsanto’s genetically engineered, herbicide-resistant alfalfa. It’s very difficult to tell if the horse product you get has GMO ingredients. The best way to know for sure is to buy products that are labeled USDA 100% Certified Organic and or are labeled as Non-GMO. Don’t be fooled if the label says ‘Organic’ because it only has to have 1 to 2 percent organic for it to be labeled as such. The rest of the products could be products that are GMO, have chemicals or pesticides. To find out if the feed you use for your horse has any GMO/GE products contact the manufacturer. A certified non-GMO horse feed is PGR (pelleted grain ration) from Dynamite Specialty Products. PGR contains corn, oats and barley with bentonite clay for the binder which helps to absorb any environmental toxins and it also helps to repel internal parasites. They also offer a non-GMO ground soy called HES (high energy supplement). HES is a whole extruded non-GMO soybean pellet that is cooked to the correct temperature. This product is amazing for putting on weight and adding calories without starch and carbs. Dynamite has been around since the 1930s and was one of the first talking about GMO’s and never using chemical preservatives. They were the first to add amino-acid chelated minerals to supplements for all species. Dynamite is a brand I trust for my horse’s needs. Have you found any horse feed that is non-GMO? If so leave a comment below I’d love to know about them. Renew Gold of the Phoenix company is completely non gmo and very very good. They also offer dog food and chicken feed that’s also non gmo. That’s great to know, thanks for letting the readers know. You have to search specifically for USDA certified Organic and GMO Free peoducts. But, a few companies are getting the point. Advance Biological Concepts also has switched to Only producing products that use USDA certified organic grains and Non-GMO. I have been feeding the same thing to horses for the past ten years in same location and in last three years have been having all sorts of health issues either gastrointestinal or Insulin resistance/Cushings symptoms…after doing a lot of researh, I am finding that many of these could be result of the herbicides and pesticides being sprayed on the crops now that GMO has rendered the crops/seeds resistant to being killed by roundup and similar poisons. Read about glyphosates and you will find this is a serious problem in human foods as well as with our animals. There are several websites that are on the web by organizations that are fighting for “food democracy” and to stop this poisoning of our food supply (which is already outlawed in many other counties). I will post some of the web addresses later. Alf alfa is one of the hay crops that has already gone GMO…I am susspecting others as well. I searched high and low for a hay producer that is producing organic hay (but it is coastal and native texas grasses which is not my preference). However, I would rather feed coastal that isnt sprayed with herbicides and pesticides than to feed a more preferred hay that is going to poison my horses. thanks Kim for writing this informative article to bring attention to thi. There is a bill in congress, I think it is HR 1599. Monsanto is trying to get congress to pass legislation to allow food producers to not be required to label GMO content. No one seems to know about this and so if our congressman are not told we want labeling to be required, they will pass this in the dead of night without anyone knowing. Those fighting against this are calling it the DARK act. Denying Americans the Right to Know. Please take action to help us fight this causes or we will not even know what is in our food and feeds. GMO’s are a scary issue, and I first ran into them when I was researching for my own health issues. I don’t ride my horses as they are not broke to ride. But after learning about GMO’s and what foods are most commonly found to be GMO. I then turned to looking into the food I gave to my animals. This included my parrots, dogs, cat, chinchilla and horses. Most soy products are GMO in nature so the grains you feed, and the supplements you give to your horses are then naturally GMO just due to this fact. If you want to even go on a bigger eye opener look into the use of soy products in general. AS they are not as healthy as one would like to think they are. There is a company that is GMO free at this time. It is called Genesis http://www.genesisorganichorsefeed.com as far as I know they are the only ones. Thanks for the information Kathy I will check into what you mentioned. I’ve been to the Weston A Price site lots of great information. So tell me what do you do with your horses since they aren’t broke to ride? Another alternative to feed the flies away is using a feed through IGR additive that is labeled for horses. This active ingredient does not get absorbed by the gut, but instead passes through into the manure, hence the ”feed through” name. Once in the manure, the Insect Growth Regulator (IGR) causes the fly pupae to not mature into adult flies. With disciplined feeding, these products can be effective but may be expensive. One warning with this type of fly control – if you have close neighbors who aren’t controlling their fly populations you will likely see little difference because their flies will continue to come snack on your horse. Kim thank you for writing this. I’m still a little confused on feeds and try to read up on them. I listen to old cowboys about what has worked for them and all. Lol. I just started feeding the standlee pelleted alfalfa thinking in doing right just to hear about this after I bought several bags. I have a 1 1/2 old filly that I think is an easy to moderate keeper. A 12 yr old that is ok everywhere but to me could use a little more top line. And a 12 yr old I just got that severely needs a top line. I was told that as a 2 yr old he twisted a gut and has never been big on weight gain. Since I’ve had him he’s gained about a 100 pounds or so. I feed twice a day plenty if coastal at both feedings. Feeding is 7am/ 5 pm everyday on time. Am feed I put in a teaspoon of salt an ounce if calf mania 4 ounces of alfalfa pellets and a scoop of pelleted sweet feed. Pm is the same without the salt. I have been told to feed beet pulp to build a topline. You know my schedule so I have been reluctant to start the beet pulp for time of soaking. Can you give me a heads up on what’s organic and not gmo? Money and time being the culprit. Also the first 12 yr old has been showing signs of stiffness in his movement since winter started. I had to have shoes put in his front feet bc of a crack. I don’t know if the shoes his joints or he is out if whack. He is the gray I just got that was abused. I can’t if he is hurting anywhere bc when you put your hands on him he stiffens up. Ok I’ll let you go. Have a great week. If you think about it give me a holler. Nothing is like it used to be in the old days. Too much technology.